The jar situation continues. I did a little dance in Wegmans when I found these Half Gallon Jars. I have one that my Grandma gave me years ago and I didn't even realize they still made them. Aaron looks really excited but really he is just happy about how excited I am. 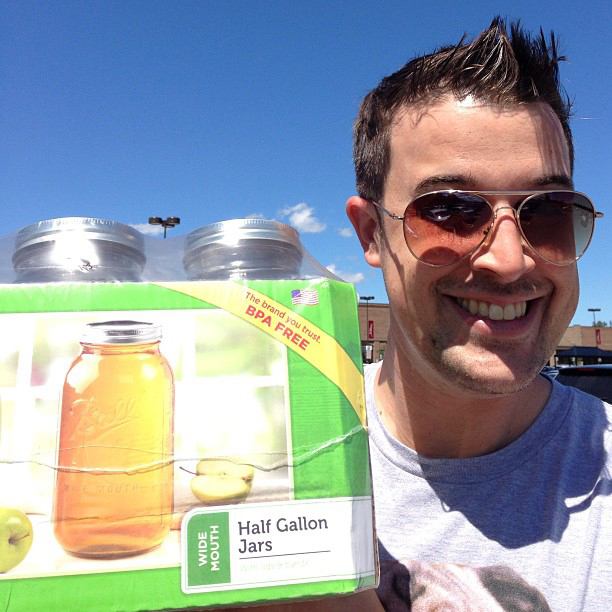 Jars don't typically make him this smiley. 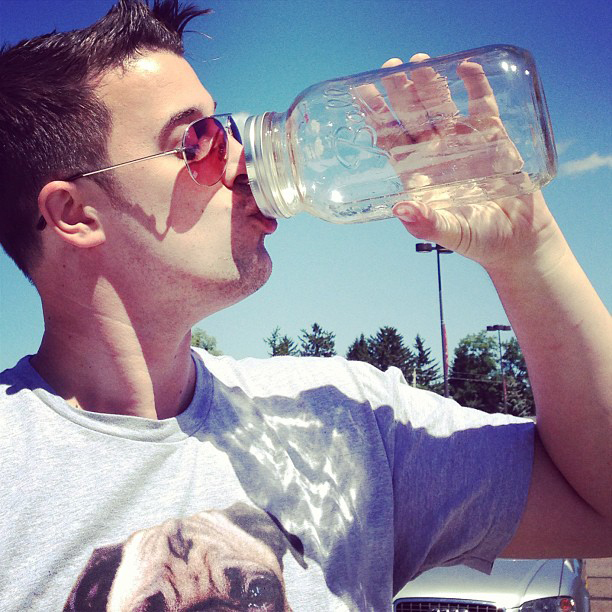 Scary thing is, it looks like a regular quart jar in Aaron's hand. He said something along the lines of "Fill this baby up, slap a Cuppow on it, and I'm good to go!" 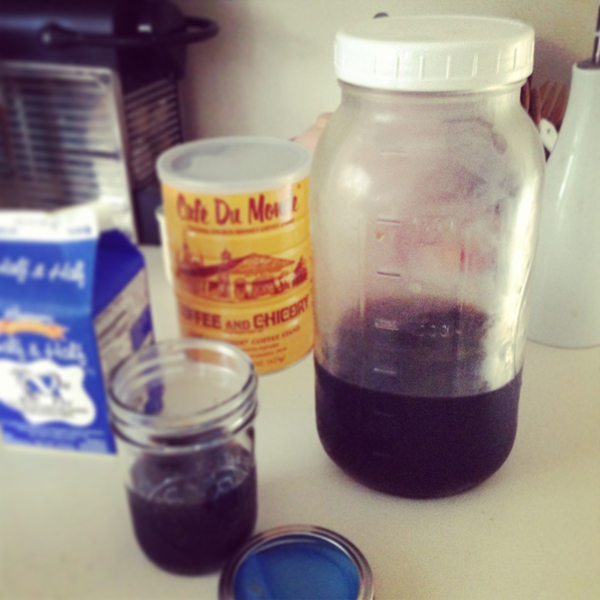 These are the perfect size for making iced tea and cold brew coffee. I was using gallon jars but they were a bear to wrestle in and out of the fridge. 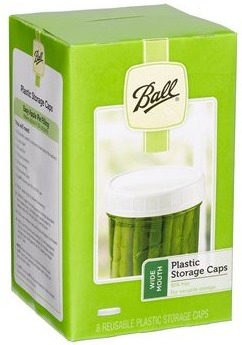 A pack of these wide mouth plastic lids and I was all set. I've read your blog for a long time and thought of you when I saw this on pinterest!